4 Extra Debut. 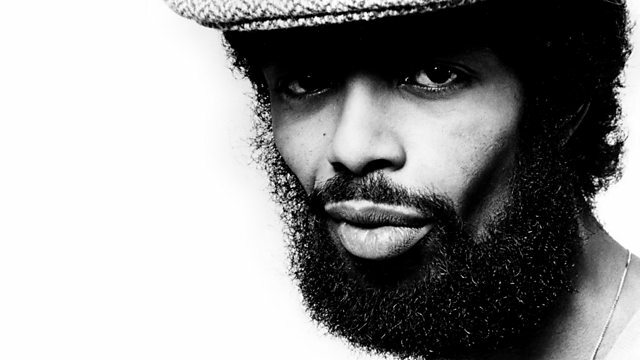 Poet Lemn Sissay explores the life of influential activist, musician, writer and 'godfather of rap' Gil Scott-Heron. From April 2009. Poet Lemn Sissay travels to New York to meet influential poet, activist, musician, writer and 'godfather of rap' Gil Scott-Heron. Following in the footsteps of Harlem Renaissance poet Langston Hughes, The Black Arts movement and jazz and blues musicians such as John Coltrane and Billie Holiday, Gil Scott-Heron helped pioneer the plight for racial equality and developed a new way of fusing music with hard-hitting political poetry. His story reflects the modern African-American struggle, from segregation in the South to triumph in the White House. Lemn speaks to Gil about his childhood, spent with his feisty grandmother in Tennessee, and his teenage years in New York at the height of the Civil Rights movement. Gil's adolescence was bookended by the assassinations of Malcolm X and Martin Luther King. We also hear about the highs and lows of Gil's four decades in the music business, from his involvement with Stevie Wonder's Martin Luther King Holiday campaign to a long battle with drug addiction and the birth of hip hop. As he approaches 60, Gil Scott-Heron is back writing music that sounds as fresh and hard-hitting as ever. With contributions from Benjamin Zephaniah and Chuck D.